In our new volume we will present you with the story of the Dutch-Belgians marching after the victory of Waterloo, to within the streets of Paris. The day after the battle of Waterloo immediate orders were sent from Dutch headquarters to collect all stray soldiers and account for the missing, killed and wounded. Discipline had to be restored at once. In the absence of the wounded Prince of Orange, general Chassé was placed in command of the Dutch-Belgian forces on 21 June, including the newly created 4th Division under the command of general Von Kruse. 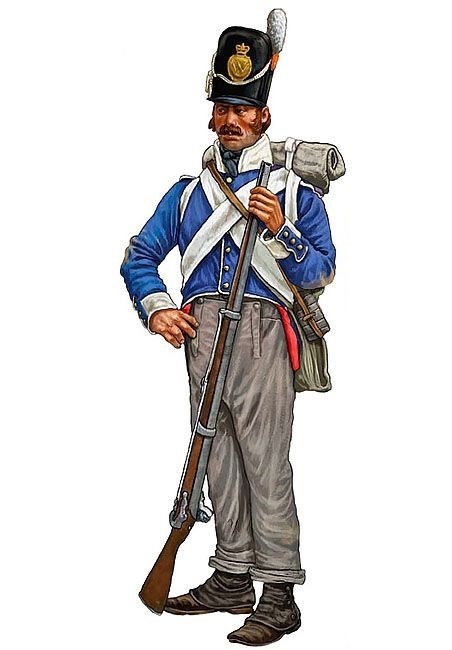 Orders were given to the soldiers not to fire their muskets while in bivouac, but their enthusiasm to do so nonetheless while crossing the border with France resulted in some panic with other battalions marching behind them. In the first few days logistics also fell behind and so hunger spread amongst the troops. Against the wishes of Wellington to treat the French population as friends, the Dutch-Belgians resorted to what they knew... libe from the land and take what you need. Something that was not appreciated by the army command of the Netherlands forces. Nonetheless, the so-called 1st Corps of the Dutch-Belgians pressed on into an undefended France, accompanying Wellington's other divisions. Cambrai was passed quite easily and next came Péronne. This town was also quickly taken, and was indeed a vital link with the hinterland. Taking control of Péronne was important, as it gave an immediate passage to Paris, now that a crossing over the Somme river was under control. Wellington left the town therefore under control of one Dutch-Belgian brigade. Within a fortnight the Anglo-Allied forces were in Paris, where part of the Dutch-Belgian forces first took up encampments in the Bois de Boulogne, before being cantonned in numerous villages outside of Paris, being the northeastern regions around Montmorency. All of these details will be explained and illustrated in detail in our final volume, due for the end of 2019.